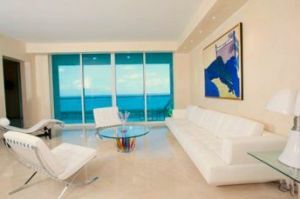 Jade Beach in Sunny Isles: What of Its Residence Features Are The Buying Points? 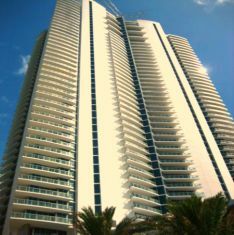 Since the construction, Jade Beach Condo has been on top of choice among other condos in the Sunny Isles area. This building features many those things that people who want to either buy a condo unit or to go for a condo unit rent option during a vacation tend to look for them. They are the buying points. Here are those Buying Features of Jade Beach Condo. 1. The building features 51 floors and 248 condominiums. 2. Offers fantastic views of the Atlantic and the Intracoastal Waterway. 3. So beautifully designed, residents of this building would be able to view both the sunset and the sunrise. 13.Granite countertops, stainless steel backsplashes, and Snaidero wood and class cabinets in the kitchens. Jade Beach Sunny Isles condo also features smart technology fitted home, because its residents would get all those tech-enabled services and facilities that would really give them a feel of modern living. Take a look over those features as follows. 7. The units have walk-in closets, which should provide buyers with plenty of room for their clothing, shoes, accessories, and more. 8. The units have washers and dryers, which is a huge benefit. No one wants to haul their laundry to the laundry room when they are living in a luxury building! Jade Beach Sunny Isles condo is the high-tech residence that provides an intelligent home environment. Every resident would get the New Technology Integrated System with two screens offering them quick and easy home control and automation. There will be a touch screen that comes with each residence giving instant access to a myriad of Jade Beach Sunny Isles condo services. How would it be if you get an in-residence control of lighting/dimming, wireless Internet access, or a facility of integral audio selections in the kitchen? All these features and automated services necessary for modern day living are made available with Jade Beach Sunny Isles condo.